Miss Z Photography offers a wide variety of wall hangings. We want you to display our fine art photography of your family in a way that best fits the style of your home. So we have many different options to choose from. You truly need to see our products in person and feel them to truly appreciate it. Here are just a few of the options we offer. We sit down with you in person to fully customize your display(s) for your home and office. We offer two different types of prints. Both of our prints are printed on high quality archival paper and are fade resistant. Our first and most popular is our mounted print. It’s mounted on on a mat board and finished with a protective high end linen texture. It’s frame ready! We recommend choosing an Organic Bloom Frame. These gorgeous frames come in many different shapes, sizes and colors. They compliment all of our prints and will look amazing on your walls. 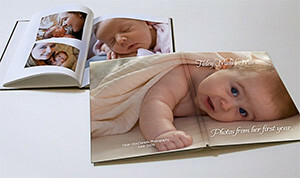 Our Hahnemuhle paper prints are are printed on fine art paper with a thickness and texture like no other. You have to see it to truly appreciate it. We offer MUSEA frames exclusively for Our Hahnemuhle paper prints. These frames come in black, white, antique silver and bronzed gold. 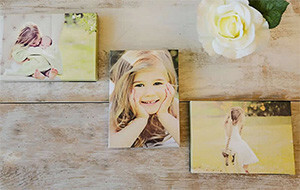 We offer the finest canvases with full backs and tight corners. The colors are vibrant and will last for many generations to come. All canvases come ready to hang. Our metal prints are high end photos printed on metal. They are extremely durable and have a beautiful glossy finish. They are mounted to a 3/4” stand out and come ready to hang. They offer a more modern feel than the canvases and are easy to wipe clean, should little dirty hands touch them. These unique canvases are made with stunning matte canvas, reclaimed wood, jute and copper accents. Together they produce a beautiful vintage hanging poster unlike anything on the market. The individuality of this product adds charm to any photograph, which ensures the artwork remains the focus and is presented beautifully. We are pleased to offer fine sterling silver customized photo jewelry from Planet Jill! We’ll help you take your gorgeous Miss Z Photography photos and customize them into beautiful necklaces, bracelets, rings, cuff links, and more! Each piece of jewelry is unique and fully customizable. What can we say? We love books. Some people call them albums, some call them coffee table books, some call them photo books, but whatever you call them, we have them! We offer a wide selection in all different sizes including 3×3 mini accordion books, 5×5 books, 8×8 books, 10×10 books and 12 x 12 books. We offer your choice of linen covers or leather covers. 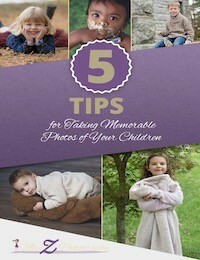 Depending on the book, we can do as little as 10 pages up to 120 pages! All of our books are printed on high end archival acid free paper and depending on the book you choose, the pages are either magazine style or on hard backed paging. Except for our mini accordion books, all of our books have lay flat pages.